Lange-Bertalot, H. and Ulrich, S. (2014) Contributions to the taxonomy of needle-shaped Fragilaria and Ulnaria species Lauterbornia 78: 1-73. Morales, E.A. 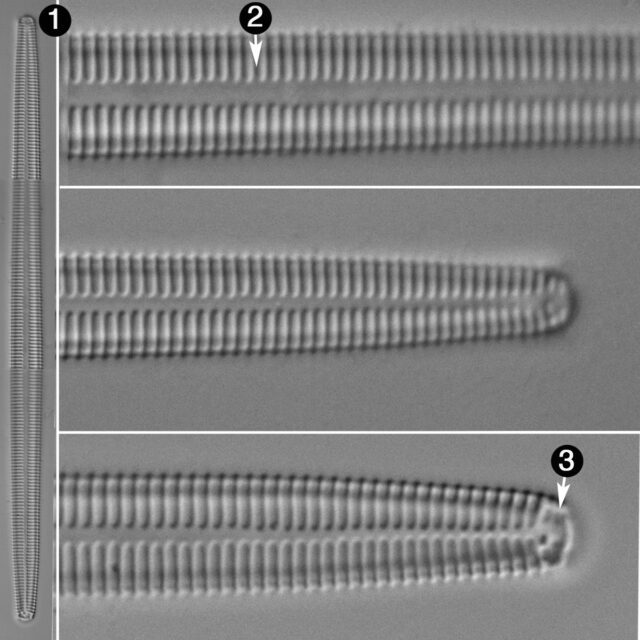 (2003) Fragilaria pennsylvanica, a new diatom (Bacillariophyceae) species from North America, with comments on the taxonomy of the genus Synedra Ehrenberg Proceedings of the Academy of Natural Sciences of Philadelphia 153: 155-166. Silva, P. and Hasle, G.R. (2006) Taxonomic and nomenclatural history of Fragilaria (Bacillariophyceae). Taxon 55: 200-202.